Job Description: Technical Integration Architect. 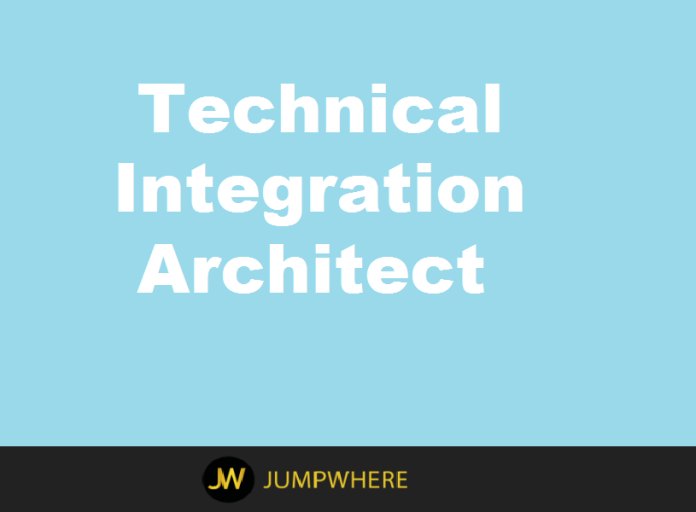 The Technical Integration Architect role is to plan, coordinate, architect, and supervise all activities related to the integration of software programs, applications, and third-party solutions as required to meet the business requirements of the organization. This individual is also responsible for developing and maintaining an application integration architecture blueprint for the organization. Discuss and finalize integration technology in consultation with various stakeholders. Proven communication skills, problem-solving skills, and knowledge of integration best practices are critical to successful performance in this role. Assist customer in all integration processes and design various architecture programs for all application layer. that enhance the business process. They should be able to recognize as well as assist in exploiting business opportunities and contribute actively in business development. Bachelors or a Master’s degree; and seven plus years of experience in relevant field. Experience interacting with all levels of management / staff and across organizational lines.